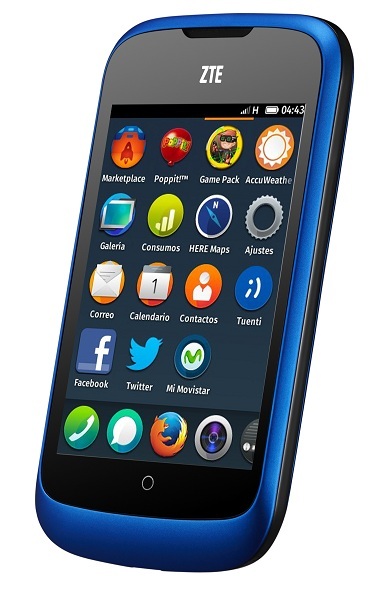 Today Mozilla announces Firefox OS coming for public in partnership with ZTE & Telefonica . Mozilla is putting the OS, ZTE is making the handset and Movistar, a Telefonica company is reaching it to the end-users of Spain. The First phone running this OS is ZTE Open, which Movistar will sell for €69 (including €30 top-up for pre-paid customers). And they are putting a 4 GB microSD card for free. ZTE and Telefonica is planning more handset running Firefox later this year. And Telefonica will launch Firefox OS based devices in other markets like Colombia and Venezuela soon. ZTE Open is going to be the first Firefox OS running smartphone in the world commercially. Compared to other smartphones and their specification I would say this device is a low-end device. The specs aren’t that great. And we have to look at the price as well. They are selling it for only €69. The smartphone is featuring 3.5″ (inch) TFT Capacitive display with ~165 ppi pixel density. Processor: Qualcomm MSM7225A Snapdragon 1 GHz Cortex-A5 processor with Adreno 200 GPU. Only 256 MB of RAM and 512 MB ROM and the microSD slot supports up-to 32 GB card. Enough speed? While Samsung Galaxy S4 is a hot cake? And powered by a 1200mAh Li-ion battery. There is no 4G LTE version of this device only 3G that you can use. But equipped with Wi-Fi 802.11 b/g/n, Bluetooth 2.1 with A2DP and EDR. There is only one back camera which is 3.2 MP and supports video recording and Geo-tagging. No secondary video-call or front camera. ZTE Open is fitted with Accelerometer and proximity sensor and the browser is HTML5. The specs of this smartphone reminds me the specs of T-Mobile G1 when it came out first. Only the ROM size is bigger than the G1, but without any front camera on both. Well, this is the first phone for this mobile operating system. We might see some development in hardware and software soon, as Firefox OS is going to compete with the existing mobile OS in the market. Where to get apps for your ZTE Open? There is Firefox Marketplace to download apps for your ZTE Open or any other Firefox OS running devices. Here is the link for the Firefox Marketplace marketplace.firefox.com where you can download apps for your device. The marketplace is currently supported worldwide and with the local store of Brazil, Colombia, Poland, Serbia, Montenegro, Spain, United Kingdom, United States, Valenzuela. At present there are 1146 apps in the marketplace which will be growing time-over-time.